MUSICALS: The Los Angeles Philharmonic has announced its 2014 Summer Series at the Hollywood Bowl, which will include the Tony-winning musical HAIR, August 1 – 3. The cast and director will be announced at a later date. 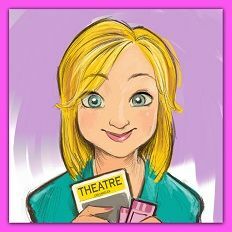 Additional musical performances include a Grease Sing-A-Long hosted by Didi Conn on July 13, and Sing-A-Long Sound of Music hosted by Melissa Peterman on Saturday, Sept. 20. Also included is DreamWorks Animation in Concert - Celebrating 20 Years, featuring the Hollywood Bowl Orchestra conducted by Thomas Wilkins on July 18-19, hosted by Jack Black will host. 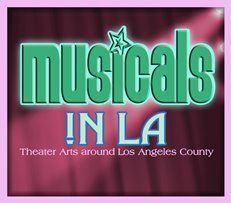 La Mirada Theatre for the Performing Arts has announced its March Madness schedule, which will include In The Mood: A 1040s Musical Revue (March 22 – 2pm & 8pm) and Floyd Collins (March 27 - April 13). More than a concert, In The Mood is a big band theatrical swing revue celebrating the music that moved the nation’s spirit! It’s the music of Glenn Miller, Tommy Dorsey, Benny Goodman and all the greats of the 1940’s featuring the In The Mood Singers and Dancers with the sensational String of Pearls Big Band Orchestra. 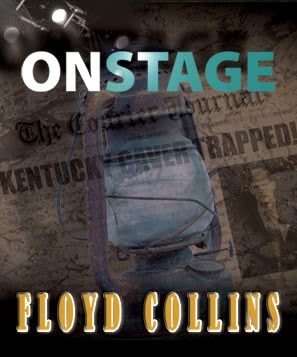 Then, get up close and personal with Floyd Collins, part of the new onstage series at La Mirada Theatre. A new, intimate theatre experience has been created by placing 199 audience seats on the stage. With a large cast and live musicians, feel the adventure of Floyd Collins’ dream of fame and fortune as he is trapped in a narrow cave 200 feet below the surface. See how his goal of creating a tourist attraction becomes a reality, with him as the main attraction. With music and lyrics by Adam Guettel (The Light in the Piazza) and book & lyrics by Tina Landau, this haunting musical tells the transcendent tale of a true American dreamer. For a complete schedule of March Madness events visit lamiradatheatre.com. Joseph and the Amazing Technicolor Dreamcoat will celebrate its Hollywood Pantages premiere with a limited three week engagement; June 3 – 22 (opening night is Wed. June 4). As previously announced, husband-and-wife team Diana DeGarmo (Narrator) and Ace Young (Joseph) will head up the cast, which will feature Paul Castree as Simeon, William Thomas Evans as Jacob/Potiphar, Brian Golub as Reuben, Will Mann as Judah and Ryan Williams as Pharaoh. The ensemble will include Chip Abbott, Amanda Braun, Jonathan Burke,Claire Camp, Richard Cerato, Vincent D’Elia, Lisa Finegold, Lili Froehlich, Sasha Hollinger, Brandon Hudson, Patrick John Moran, Mark Roland, David Rossetti, Leigh Scheffler, Christine Cornish Smith, Brett Stoelker, Tricia Tanguy, Matthew Tiberi and Katie Whetsell. Joseph will be directed and choreographed by Tony® Award-Winner Andy Blankenbuehler. For tickets, which go on sale to the general public on March 30, or more information please visit www.HollywoodPantages.com.